Home / Tech Talk > Lamp, LED, or Laser: What's Best for You? With all the hype surrounding new solid-state projection light sources, namely laser and LED, it might seem that the use-case for lamp-based projection is quickly fading away into the annals of history. 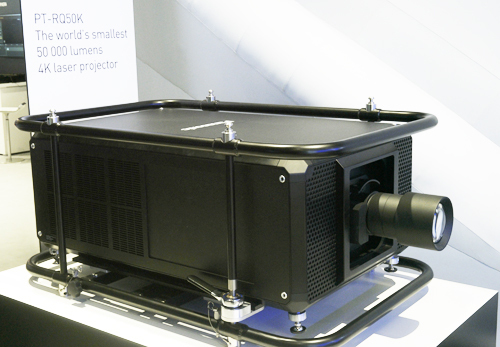 However, while LED and laser projectors do offer some significant maintenance and long-term cost benefits, their upfront higher costs can deliver some customers sticker shock, though in the sub-6000 lumen projector market, the prices have now dropped to the point that most will consider a laser projector a more economical choice. Let's dive into what makes each technology unique, and where you might choose one over the other. The tried-and-true projection lamp has been around for decades and has consistently undergone new innovations such as brighter light and increased life span. However, lifespans for much of its history were measured in hundreds of hours; it wasn't until the last 10 years or so that we began to see 1000+ hour projection lamps. Along with the evolution of the lamps, the need to accomplish higher and higher lumen output led to the introduction of dual-lamp systems. This achieved the desired effect, but also increased the ongoing maintenance costs to keep the unit functioning. With solid-state light engines coming on strong in the commercial space, lamp-based models have become an excellent value for situations that demand high brightness on a budget. Optoma's new 4K550ST, with 4,500 lumens, and a $3,999 street price, is just one recent example. More recent projector releases now boast lamp lifespans of 5,000 hours and even a 10,000-hour estimated lifespan if the projector is run in its "Eco" mode, which reduces lamp output for the benefit of longevity. With numbers like this, I'm hard-pressed to say that lamp-based projection is anywhere close to going away. So where would one choose lamp-based over a solid-state solution? The easy answer is that lamp projectors are best for those who are only utilizing projection intermittently, such as a movie night once a month, or a couple times a week in a classroom. One could easily argue that churches, particularly small churches without a lot happening during the week, could still find a valuable use-case in the now lower-cost lamp projectors. Nonetheless, one must consider the long-term impact of needing to replace lamps. Even with a long lifespan of 5,000 hours, by the time a small church experiences a blown projector lamp, what will be the availability of a replacement lamp? Will that replacement need to be found five years down the road? Perhaps ten years or more? Still, I would say that in many instances, lamp-based projection is still very much a viable and more affordable solution. Until fairly recently, most LED-driven projectors have not provided impressive numbers: low lumen output, low quality imaging chips producing less desirable imagery, and a lot of overseas, off-brand manufacturers flooding the market with sub-par products have left a lot of consumers wary, and for good reason. Although they enjoy similar long-life as solid-state lasers, LED light sources have been associated in the past with low-brightness, lower-quality projectors. That's changing as respected manufacturers continue to push the limits of LED. The upcoming InFocus IN1188HD (top), for example, is a compact and lightweight portable business projector boasting 3,000 lumens, 1080p resolution with unusually wide color gamut for its product class, and an expected $1,199 street price. The new BenQ HT9060, $8,999, is a state of the art home theater projector utilizing the latest Philips LED technology to achieve high color fidelity and wide DCI-P3 color gamut with 2,200 lumens brightness. However, in 2017, Hitachi was the first to announce a 3,500 lumen LED projector, which opened the doors to more manufacturers like Optoma, Panasonic, Epson, and Casio to release either all LED or hybrid LED/laser projectors. As with laser engines, the typically more affordable LED models may boast 20,000 hours or more of operation and virtually no maintenance (most still have filters that require cleaning at recommended intervals). These projectors can greatly aid those who have projectors installed in hard-to-reach locations or who use their projector every day and hence would burn through a lamp at a faster pace. Frequent use means better long-term value in this case. Another benefit that may not be immediately obvious is that using a solid state light source can mean less generated heat, which may have significant impact in small spaces or unique orientations, such as when you're mounting a projector at a non-standard angle. Museums, art installations, and environmental projection immediately come to mind as potential use-cases for this feature. Though less frequently encountered, hybrid LED/laser projectors seek to use a combination of these technologies to boost light output beyond what LED can do alone while retaining some of its size, weight, and cost benefits. 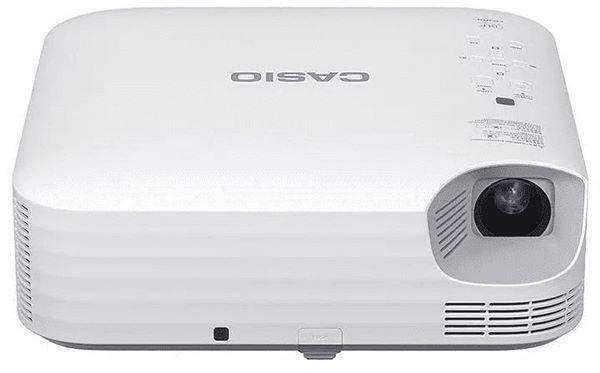 Casio's new XJ-S400UN classroom projector takes this approach to achieve a 4,000 lumen rating with WUXGA resolution in a small chassis. LED light sources have been around in the lighting industry for a long time, but are fairly new to the professional projection market, and as such, do have a ways to go before they catch up to projection lamps and laser-based projection in terms of light output. But, given the incredible amount of money being thrown into LED research, it would not surprise me to see brighter and even longer-lasting LED solutions coming to market as early as late 2019 and early 2020. We have already seen new models introduced for the home theater and business projector segments at CES 2019 and this year's ISE that feature 4K resolution, ultra short throw capability, and 3,500 lumen output. Arguably one of the fastest growing industry segments in professional A/V, laser projectors sport similar features to LED projectors, such as 20,000 hour life, virtually maintenance free operation, lower heat generation, non-standard angle mounting ability, etc. What primarily separates laser from LED is that laser projectors can be purchased with higher lumen output (up to and potentially beyond 30,000 lumens), which means large venues can now take advantage of the long-term lower cost of ownership that solid-state light engines bring. Large churches, theaters, schools, outdoor projection mapped exhibits, and other spaces and applications that require large-format projection can utilize laser to lower costs without sacrificing brightness, color saturation or image quality. Along with long life and no lamp replacements, laser distinguishes itself by the ability to hit extraordinarily high light output where it's needed. The upcoming Panasonic PT-RQ50K, a large-venue/staging projector shown at the 2019 ISE, claims to be the world's first (and smallest) single-chassis 50,000 ANSI lumen projector with native 4K resolution. Of course, laser is also turning up now in a wide range of 5,000-10,000 lumen class projectors designed for more common applications. In addition, you can find a laser option in just about every vertical in the industry, be it travel, business, education, installation, touring, etc., whereas specialized professional LED projector options for some of segments are non-existent or still coming online. Essentially, laser projection technology is ahead of LED in these repsects at this point, though I'd expect to see that distance close over the next two years. In terms of costs, we are seeing an industry-wide shift downwards, with lamp-based projection being at the bottom of the pile. Why the shift? At this point in the industry's history, we are seeing manufacturers moving away from a model dependent on customers replacing filters and lamps to simply replacing projector units as a whole. What is the right choice for you? I would say it comes down to how many hours you plan to use your projector every week, combined with the size of your available budget. For my own projector, I personally settled for a lamp-based model with a lamp life span of 5,000 hours because it fit my budget and use-case of a couple hours a week. However, if you need your projector for several hours per week, and/or it is going to be mounted in a hard-to-reach location, laser or LED may be a better solution for you. Bear in mind, however, that you will likely need to clean the filter once in a while, regardless of which technology you choose. At the end of the day, it's important to do your research, as making a projector purchase for home or a business/institution could be a large financial outlay. There will be other considerations to factor into your decision as well—how many lumens you need, the ambient lighting in your space, the resolution you demand, the content you are displaying (mostly text, mostly images/movies or a mix of both? ), how large a screen you need, what screen material are you using or have available, and how you predict your projection needs might change over the next five years. These are all questions you need to ask, and answer, before making your purchase to avoid buyer's remorse and ensure you're happy with your projection system now and in the future. Tim Adams is president and chief systems designer for Timato Systems, an audio/video integration company specializing in servicing the sound, lighting, video, projection and live-streaming needs of churches and other houses of worship. He can be reached at info@timatosystems.com. Why not mention the benefits of dynamic lamp dimming? You get the longest lamp life along with reduced power consumption and better contrast and highest brightness when needed. Miguel, many short throw projectors and especially ultra short throw (UST) projectors could be made to work in that space. Short throws usually need just a few feet off the wall, UST's only a few inches to throw a 100-inch image. I got a high quality Epson projector recently and it seemed fantastic at first, but within minutes there was a strange smell in the room. I Googled this, and others had experienced the same over a range of projectors. Apparently it was just" the new lamp "burning in" and was expected to disappear after one or two HUNDRED hours. I had never experienced this symptom before, but considering lamps generally contain mercury, it made me wonder what might be silently seeping into a room even in machines without obvious symptoms. Currently I have a dinky little led Optoma, and will be looking more at a long term lampless solution. Are the LED lamps replaceable just like in the lamp based projector? Dsouza, it is rare to find a laser or LED projector designed for any light source replacement, much less consumer replacement, though I think I may recall some pricey laser models offering factory replacement. It would most make sense for very expensive commercial projectors that see many hours of daily use, and for which the price is so high that an expensive laser replacement is still a more cost effective option than replacing the entire projector. A laser rated for 20,000 hours to half life, for example, could only be run for 2.3 years of continuous, round the clock use. That same 20,000 hours for a projector being used as a consumer television could be run 6 hours every single day for 9 years straight. As Tim notes in his story, these solid-state projectors are built on the premise that you'll use it up and replace the whole projector. The way things are going, other advances in video technology are likely to encourage an upgrade well before the light source runs down anyway. Heat & Color volume are two thoughts come to my mind when mentioning either Laser or LED projection. It's Less Heat and Larger Color Volume closer to P3 and Rec 2020. Mark, LED actually isn't known for its color gamut, hence it has till recently been the solution used for inexpensive or portable projectors where achieving home theater enthusiast specifications isn't the top priority. My understanding is that this is one area that is a focus of research now. BenQ's new HT9060, at $8,999, is somewhat rare in utilizing some high end Philips LED technology that's been engineered to help LED fulfill its promised legacy as the ideal light-source: compact, low-power, light-weight, long-life. You can read more about that on Philip's web page for their HLD LED tech.